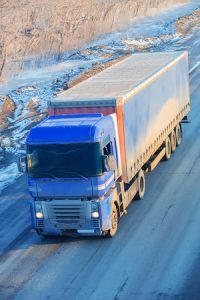 challenges truck drivers face | Platinum Drivers Inc. If you’ve ever been forced to drive a truck in high winds, you know how difficult it can be. While that’s true for all motorists, it’s especially true for truck drivers. Truck drivers could potentially put your own life and the lives of others at risk if you make one false move. Fortunately, there are some steps you can take to keep yourself and others safe when driving in high winds. Here are a few tips that’ll help you work your way through high winds without encountering any huge problems. Check the weather report before driving in high winds. Are high winds in the forecast? If so, you should make every effort to see just how bad the winds are going to get while you’re driving. It helps to know what you’re going to be up against once the winds start whipping around your truck. You should also keep an eye on tall grass, signs, and more as you drive to get a better sense of just how hard winds are blowing. Make sure everything is secured down in your truck prior to working your way through high winds. You should obviously always secure the things you’re transporting in your truck. Nevertheless, it’s especially important to do it when you’re going to be driving through high winds. Be diligent during your pre-trip inspection to ensure that everything in your truck is tied down so that it doesn’t shift around and make your truck even more unsteady than it’s already going to be. Slow down if high winds start to move your truck around. If, at any point, high winds start to blow your truck around and make it hard to control, slow down. Slowing your truck down can make it easier for you to maintain control of it. You should also consider pulling your truck over and waiting out the winds if they get to be too bad. At Platinum Drivers, we’re dedicated to keeping drivers safe by providing them with the driver resources they need when they’re out on the road. We’re also dedicated to helping companies find drivers for their trucks. Call us at 844-800-1421 today for additional information on our trucker services.